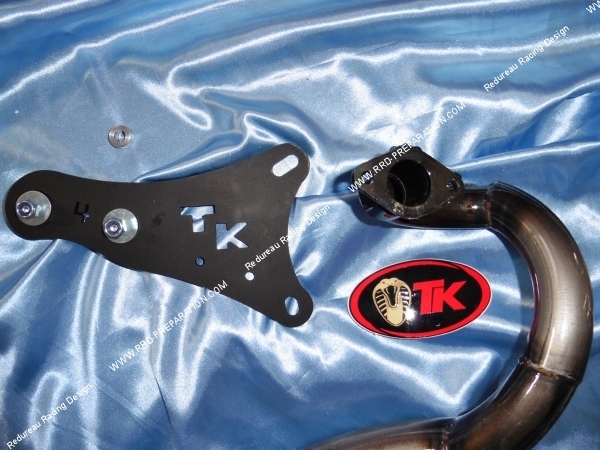 The TX SPORT version of the TK pot for your BOOSTER, BW'S, NITRO, SR, OVETTO ... 100cc 2T! 187,95 € 187.95 tax incl. 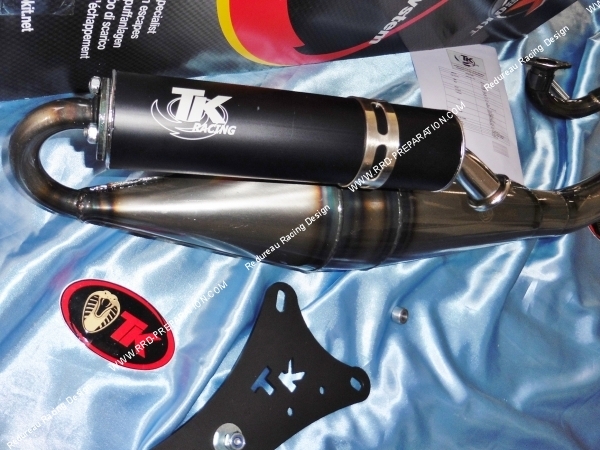 Ideal on an original engine or equipped with a sport variator and even a kit like the famous MALOSSI, here is the version TX SPORT of TURBOKIT TK. 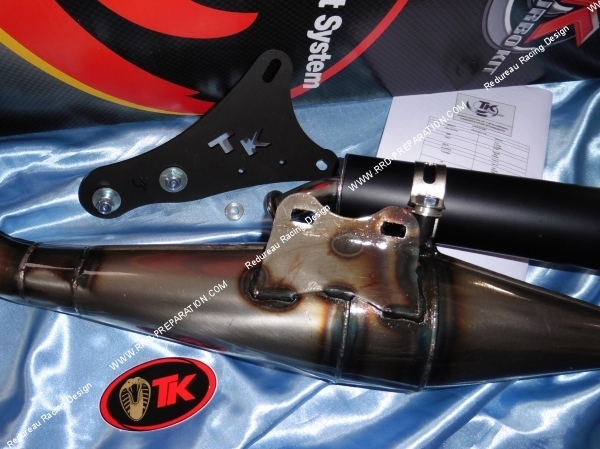 This is the mid-range muffler for scooter 100cc 2T. 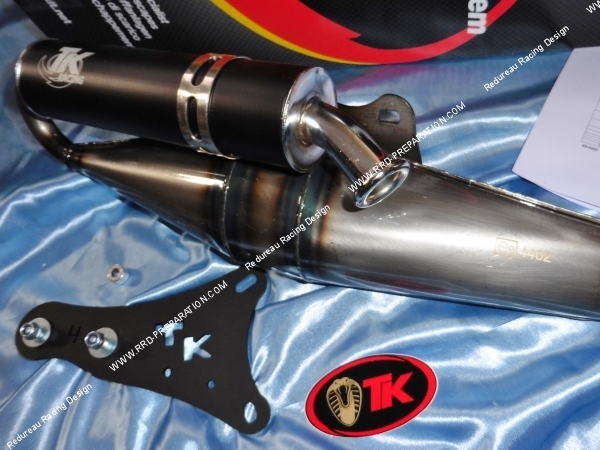 Very good quality, it is a high performance sport exhaust. Rolled steel body, welded and fully varnished. Silencer aluminum black anodized. Elbow swivel mat black paint! Fixation on silent blocks to avoid vibrations. 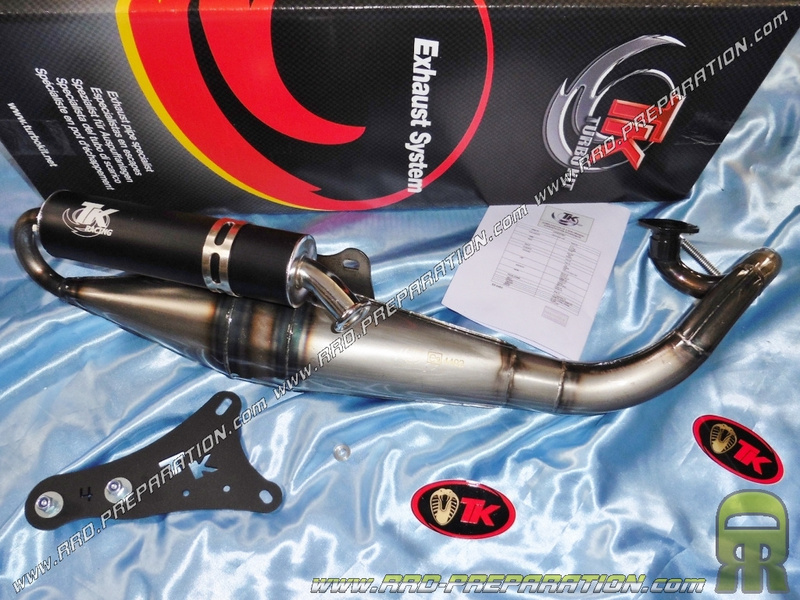 It's an exhaust that saves a good 15 to 20 KM / H ratio at the origin! It is quite tuned to an original engine with a sports variant for example or even kite.